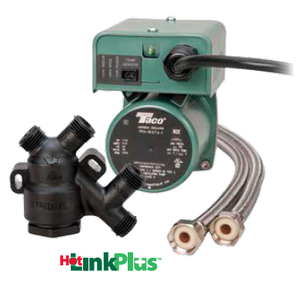 The Hot-Link® and Hot-Link Plus™ are perfect for retrofit or new construction. The Hot-Link Valve is installed under the most remote kitchen or bath fixture, the circulator with analog timer is installed at the water heater. 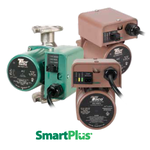 The Hot-Link Plus replaces the analog-timed circulator with a SmartPlus. Either way, the Hot-Link valve with its clean in place design creates a DHW system without dedicated return loop piping, recirculating cooled water back to the water heater so hot lines remain hot.